WEDNESDAY, April 6, 2016 (HealthDay News) -- The number of adults worldwide with diabetes has quadrupled in the past 35 years, a new report shows. Climbing from 108 million in 1980 to 422 million in 2014, the increases were particularly severe in low- and middle-income countries such as China and India, the researchers noted. Global diabetes rates rose from just over 4 percent to 9 percent among men, and from 5 percent to almost 8 percent among women, the findings showed. The price tag for treating and managing the disease and its complications now totals $825 billion a year, the report found. 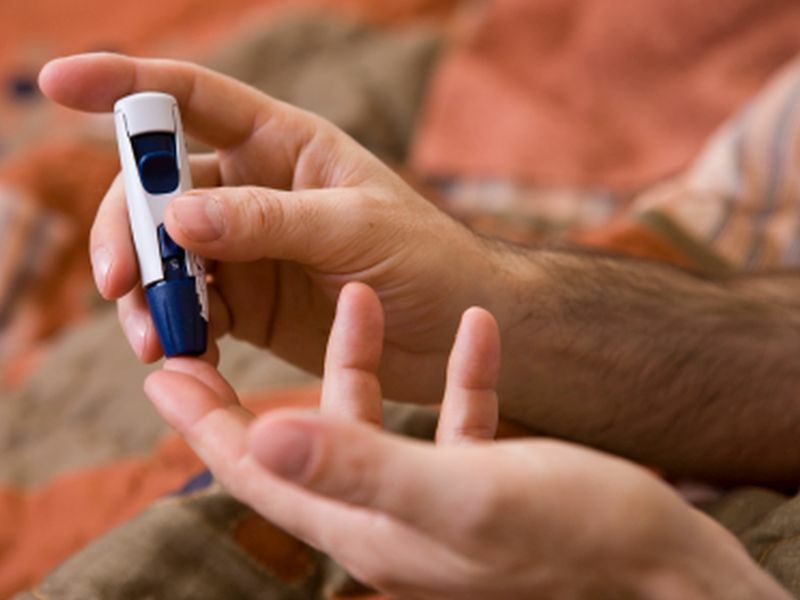 "Diabetes has become a defining issue for global public health. An aging population, and rising levels of obesity, mean that the number of people with diabetes has increased dramatically," said senior study author Majid Ezzati, a professor at Imperial College, London. The statistics were not divided between type 1 and type 2 diabetes. But, 85 percent to 95 percent of adult diabetes cases are type 2. So, the significant increase is likely due to a rise in type 2 diabetes, which is often linked to obesity, according to the study authors. The report is published in the April 6 issue of The Lancet. "Obesity is the most important risk factor for type 2 diabetes and our attempts to control rising rates of obesity have so far not proved successful," Ezzati said in a journal news release. "Identifying people who are at high risk of diabetes should be a particular priority since the onset can be prevented or delayed through lifestyle changes, diet or medication," Ezzati added. Compared to Western Europe, diabetes rates rose much more sharply in low- and middle-income countries, such as China, Egypt, India, Indonesia, Mexico and Pakistan. No country had a major drop in diabetes rates, the study authors said. In the United States, just over 8 percent of men and more than 6 percent of women had diabetes in 2014. That translated to rankings of 114th for men and 146th for women in the world, according to the report. But the number of U.S. men with diabetes has increased by more than two-thirds since 1980, when 4.7 percent had the disease. Among women, just over 4 percent had diabetes in 1980. The new estimates, released ahead of World Health Day on April 7, are from an analysis of 751 studies that included more than 4 million adults in different regions of the world. In an editorial accompanying the study, Etienne Krug, from the World Health Organization, wrote that the findings "sound the alarm for large-scale, effective action to reduce the health and economic impact of diabetes. Improvements in prevention and management, together with better surveillance, should be prioritized in response to this call."